Magento is an e-commerce platform that is used by the top internet stores. Owned by Ebay, it’s available as a free download under the OSL 3.0 open source license. Those who want a premium solution can sign up for the Enterprise Edition, which is available via an annual subscription. 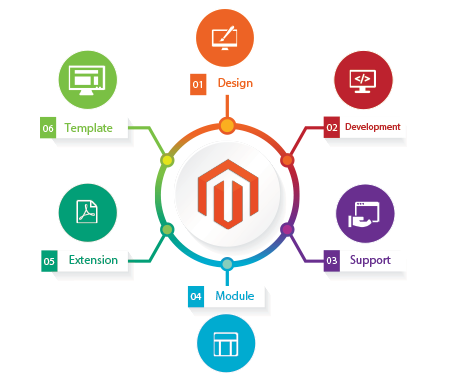 If you want to open up an internet store, there are many reasons why you would want to use Magento website development to help you. One of the best things about Magento is that it is easy to use, as it allows you to connect your store with PayPal, Google Shopping, etc. Even though it’s used by the top internet stores, startup stores can use it as well. 1. It offers flexibility, no matter how large or small a business is. There are numerous templates and themes available. It’s easy for any online store owner to create a customized solution. Since Magento website development is easy and flexible to use, you’ll be able to save time when building your store. This means that you’ll be able to put more focus on marketing your products. 2. It’s easy to create a shopping cart. You’ll have the option of providing customers with a variety of payment options. This platform allows integration with nearly 50 payment gateways. Checkout is an easy, step-by-step process. Your customers won’t feel confused or frustrated when placing an order through your store. 3. Customer experience is improved in many ways. In addition to a simple checkout process, customers can use dynamic search features that allow them to filter products according to a variety of parameters. A library of unique search terms is maintained in the Magento cloud. You’ll have access to product tag filters and product reviews, which you can display on your site. This web development platform also offers the ability to configure search terms with auto-suggestions. 4. On-page SEO solutions are available. It’s easy to come up with long-tail keywords that will help drive traffic to your site. Magento offers tools such as SEO filters, optimized headers, page headers, a customizable site map, meta data, and more. You’ll be able to prepare your site for the search engines. The long-tail keywords will make it easier for you to compete with other internet stores in the search engine rankings. 5. Product feeds will help bring in targeted traffic. This platform makes it simple to submit optimized product feeds to Google Merchant Center. With the M2E Pro version, you can integrate your products with all eBay and Amazon marketplaces. 6. You can expect more mobile visitors. Magento is a mobile friendly platform that allows you to setup an internet store that is compatible with any mobile device. 7. You’ll have access to many helpful extensions, such as Customer Follow-Up, Advanced Subscribe, and One-Step Checkout.